This is one of the powerful conclusions that philanthropists Bill and Melinda Gates draw in their 2019 Annual Letter, ‘We Didn’t See This Coming.’ The letter, which highlights key items that have surprised them over the course of their work in global health and development, particularly calls out innovations that help to elevate the underprivileged, underserved, and socially excluded. The way that mobile technology is most powerful in the hands of the poorest women is one of these core themes. 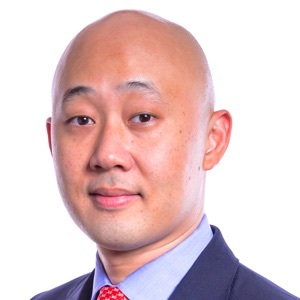 I was thrilled to read this because using mobile and digital solutions to connect and elevate people and communities is an area that we at KKR are also focused on, especially in a region like Southeast Asia. Southeast Asia is a compelling destination for digital transformation given its favorable demographics – a young and rapidly urbanizing population experiencing rising affluence – coupled with greater access to smart phones, social media platforms, and improved internet connectivity. Considering these trends alongside the need for greater financial inclusion in emerging markets, and we get a potent combination whereby digital tools play a critical role in bridging the progress gap. Nikmah told [Melinda Gates] she’d tried for years to support her three children by selling vegetables, but she never could seem to make ends meet. Her situation became even more untenable after she had to flee an abusive husband. Today, Nikmah is one of more than a million Indonesians making a living through Go-Jek, a popular mobile platform for rides, food deliveries, and other services. The app connects her to a steady stream of customers and income, and she is paid through a mobile bank account, so she has total control over the money she earns. She can now afford to provide for her children without having to depend on a man who mistreats her. And through her phone, she’s formed a network with other women service providers, who pool their savings to support each other through accidents or health emergencies. Investing in companies like Go-Jek that address global challenges has become an increasingly important theme for KKR worldwide. In addition to offering app-based services around transportation, deliveries and digital payments, among other areas, the company was launched with a social mission; Go-Jek provides stable incomes, affordable health insurance, and vehicle insurance to the many micro merchants on its platform. Go-Jek has recently expanded its impact to other Southeast Asian markets after receiving additional funding from other world-class investors. Go-Jek isn’t alone in this focus. Last year we announced an investment in Voyager Innovations, the Philippines’ leading digital payments and financial services provider. Voyager aligns with our strategy to invest in high-growth markets that we believe can benefit from a rapid increase in technology adoption. From a social perspective, the company brings millions of Filipinos greater access to non-cash payments, thereby enabling the broader Filipino population to participate in the digital economy. Looking ahead, KKR will continue seeking out opportunities to invest in digitally enabled companies that provide economic and social benefits to the underserved. We welcome partnerships with people who believe, as we do, that connectivity can help the poor.